Fidelity Investments is getting creative in its efforts to woo millennials into greater interest of the financial stock market, launching StockCity. 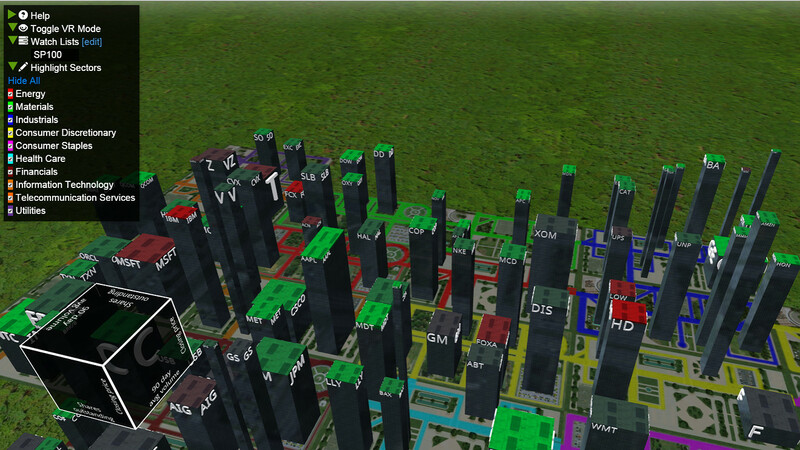 The software uses a 3D mapping tool and feels similar to SimCity, providing virtual structures that analyze 90-day trade volume and market caps of selected stocks. StockCity also is available for the Oculus Rift, blending virtual reality with data visualization, providing a unique method to view your personal stock portfolio. "Fidelity's target one with a bullet is the boomers," said Bill Doyle, Forrester Research VP, in a statement. "But if they don't pay attention to the next generation - which has a decidedly different feel, with a strong bias to digital touch points - they run the risk of being iced out by some upstart. They expect their best experience to come from software, as opposed to coming from a human being."